We know the greatest love from You, Oh, Lord. Love today tomorrow and forever. Because we’ve touched the wonderful love. 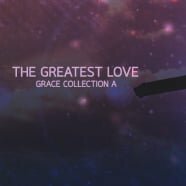 The greatest love that makes us one. Because we’ve touched the love from Jesus Christ. The purest love that brightens the world.